Offering gift cards is easy! 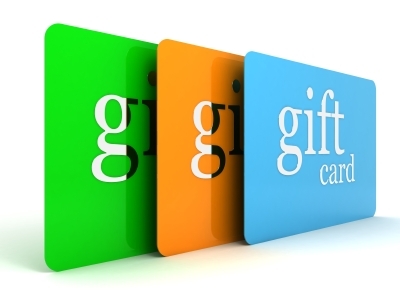 Our comprehensive gift card service is built into the POS system you use. Unlike other gift card products, our gift cards offer unlimited free transactions for merchants who also process credit cards with Express Payment Solutions, and a variety of affordable gift cards and merchandising materials to fit any budget. Whether you simply need attractive gift cards with your business logo for a single location, or custom designed cards for a franchise, we have the perfect service to help grow your business. IN 2015, GIFT CARD SALES WILL TOP $135 BILLION! 42% of consumers favor gift cards over merchandise and 97% would prefer to receive a gift card instead of a gift valued at $25. Over one-third of gift card recipients are new customers and for almost every card sold, at least two customers visit the store. Recipients think of gift cards as a discount and three out of four will spend more than the card’s original value – up to 60% more. Attract new customers and keep them coming back with affordable, attractive gift cards. Choose from an assortment of pre-designed cards, imprinted with your logo, or create customized cards to match your brand. • Free, unlimited gift card transactions when you process credit with Express Payment Solutions.